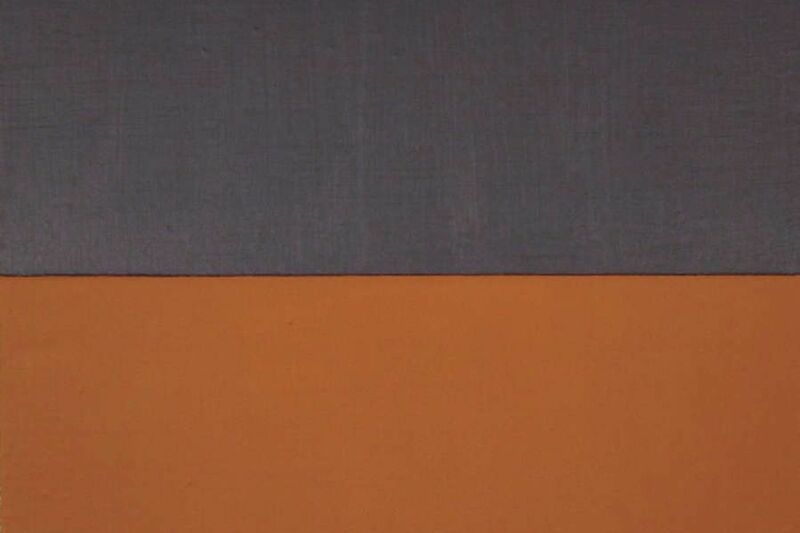 Jon Poblador's "Marfa," (2008), acrylic on linen, at Larry Becker Contemporary Art through April 7. After two visits to Fleisher/Ollman Gallery's "You, Me, We, She," I've come to think of it as an all-women Whitney Biennial. It's not nearly as sprawling as a biennial, of course, but it's simmering with radical ideas, presents works in various media by artists of different generations, features the works of individuals and groups, and offers related activities and events, on the premises and elsewhere. What the show is really about, though, is the phenomenon or trend in contemporary art that came of age with second-wave feminism in the 1960s - and is still going strong - in which women, in particular, began to take groups of people as their subjects or focused on addressing a communal identity. The earliest works here capture the collective in-your-face mood of their time instantly. In two bright, graphic serigraphs, people like us yes, from 1965, and things go better with, of 1967, Corita Kent, also known as Sister Mary Corita, furthered her quest for social equality, peace, and love. A few years and mythical burned bras later, in 1972, Martha Wilson, a feminist performance artist and founder of Franklin Furnace Archive Inc. in New York, made her Breast Forms Permutated, a grid of nine black-and-white photographs of different pairs of differently shaped breasts. Anna Banana, a Canadian contributor to the Mail-Art phenomenon, is represented by issues of her scatologically oriented publications, Vile and Banana Rag from the early 1970s. Adding to the fun are videos of performances by the all-female band Disband, a staple of New York's downtown art scene from 1978 to 1982 known for its energetically performed a cappella songs of a feminist persuasion. From there, the show leaps forward more than a decade, to color photographs documenting contemporary communal living (by Justine Kurland) and evidence of it (by Tammy Rae Carland); metal warning signs with such forlornly sweet sentiments as "Safe City" and "Safe for a Second," by Ilona Granet, that would seem to be channeling a collective memory of 9/11; Julia Sherman's glass-mounted photographs of acid-treated windows in a Manhattan convent (the community's own solution to vanity), and a collection of soaps made by the eight Benedictine Sisters of Perpetual Adoration in Dayton, Wyo., whom Sherman has been helping to rebrand their handmade soaps and creams. The Art Book Club, a group of female artists who live in New York and convene regularly to discuss art texts, is represented by a wall shelf of their latest good reads (feel free to browse). The sense of urgency so present in the show's early works has been replaced by a sense of unquestionable empowerment, but its images are tinged with a nostalgia for the past. "You, Me, We, She" also includes works by Becca Albee & Kathleen Hanna, Johanna Billing, Stephanie Diamond, Annika Eriksson, Kara Hearn, Donna Henes, Fawn Krieger, Jennifer Levonian, Shani Peters, Mika Rottenberg, and Francine Spiegel. Disband, which reunited in 2008, will perform at Vox Populi Gallery's Aux Performance Space on Wednesday at 9 p.m. (http://voxpopuligallery.org/aux). On Friday and Saturday, Stephanie Diamond will host a retreat at Fleisher/Ollman during regular gallery hours at which artist collaborators and gallery visitors will share and support each other in a variety of ad hoc activities. The Art Book Club will be at Fleisher/Ollman on March 31 at 3 p.m. to discuss Katy Siegel's book Since '45: America and the Making of Contemporary Art. Fleisher/Ollman Gallery, 1616 Walnut St., 10:30 a.m. to 5:30 p.m. Tuesdays through Fridays, noon to 5 p.m. Saturdays. 215-545-7562 or www.fleisher-ollmangallery.com. Through March 31. Since moving from Philadelphia to Phoenix, Jon Poblador seems to have been influenced by the colors of his new environment. His mainly monochromatic paintings, currently on view in "Jon Poblador: Living Mountain" at Larry Becker Contemporary Art, now investigate subtler hues, among them a deep barn red, a burnt sienna-infused brown, and various blues and grays. As in his earlier works, his dense, matte acrylic surfaces manage to appear much softer than their medium normally allows. Poblador's recent paintings continue his habit of building what looks like an etched line (or lines) in a work, but is actually plain linen left bare between painted sections. In some of his paintings, such as At Sunset and Jalan Rumia, those "lines" seem to glow from within. In others, he has left grids of "lines" that suggest tiled walls. These are quiet, contemplative paintings that strike me as stops on a walk through a Southwestern landscape. Larry Becker Contemporary Art, 43 N. 2d St., 11 a.m. to 5 p.m. Fridays and Saturdays. 215-925-5389 or www.artnet.com/lbecker.html. Through April 7.